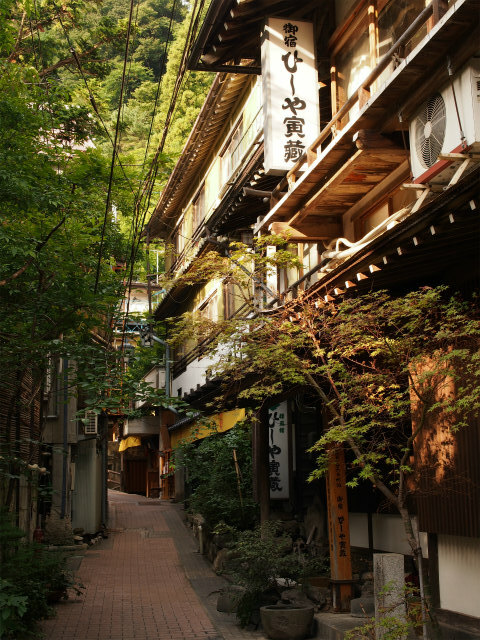 Shibu Onsen, located in Nagano Prefecture in the Honshu mainland of Japan, is a hot-spring resort that has a history as long as 1,300 years. 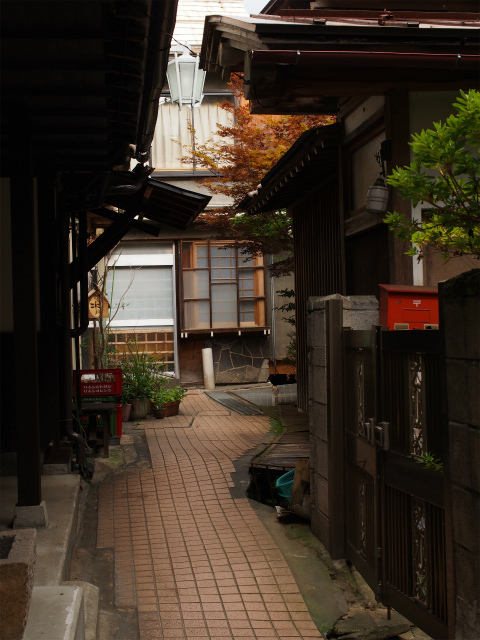 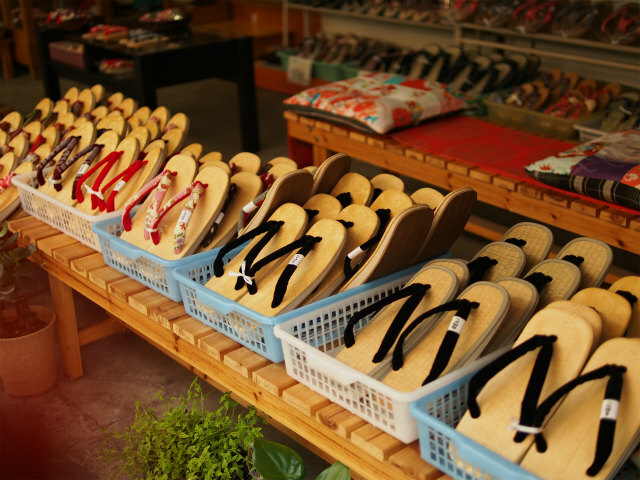 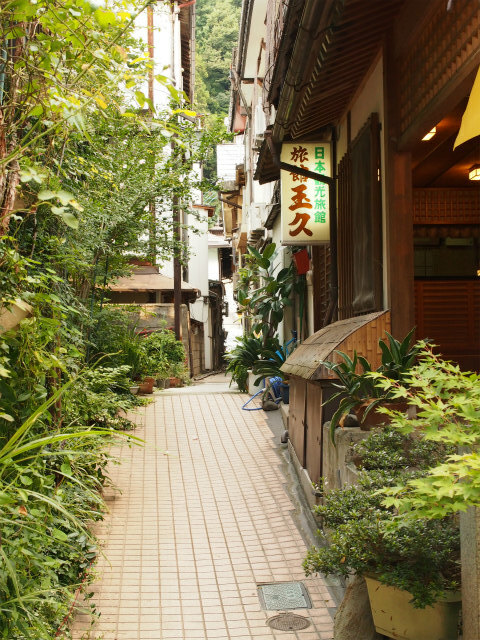 Traditional wooden ryokan (Japanese inn) line the cobblestone streets on which you can stroll in your yukata and geta (clogs) to fully enjoy the atmosphere of a Japanese hot springs resort. 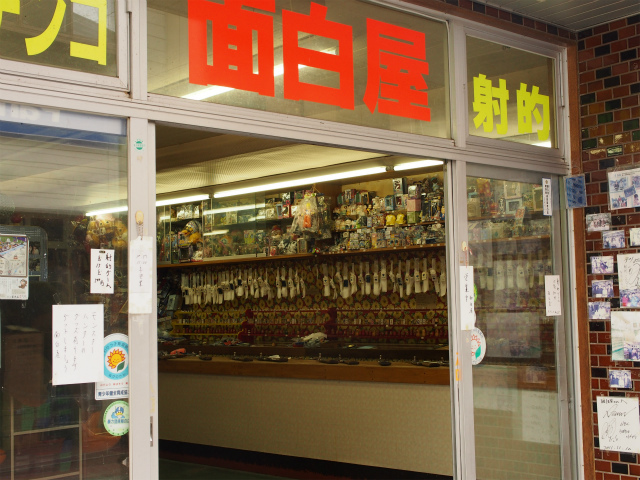 There are souvenir shops, shooting galleries and restaurants in the town. 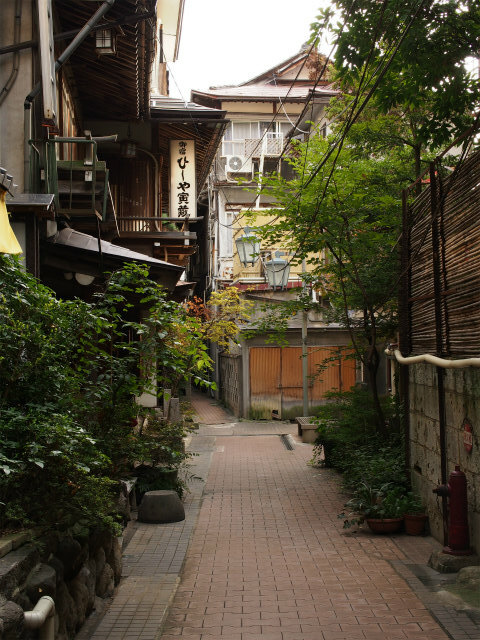 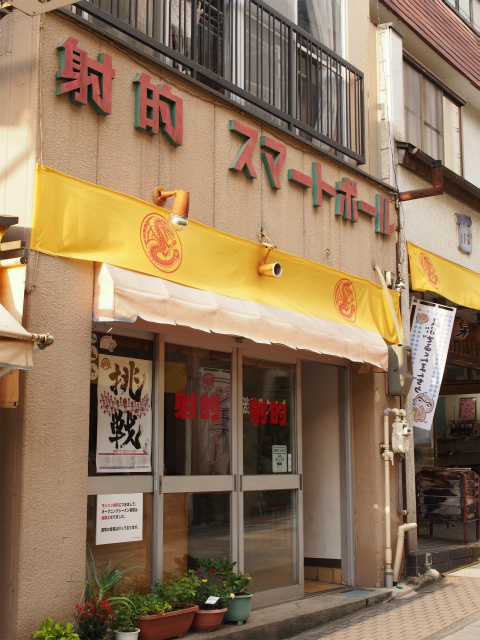 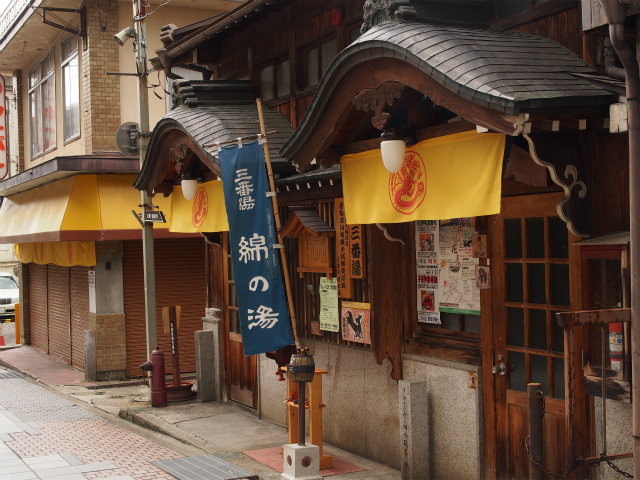 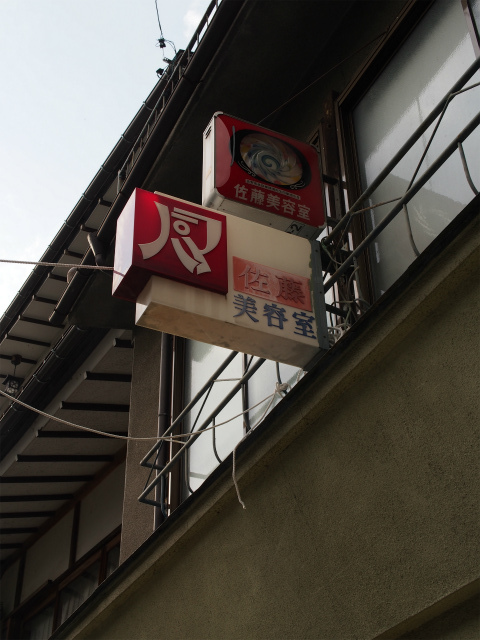 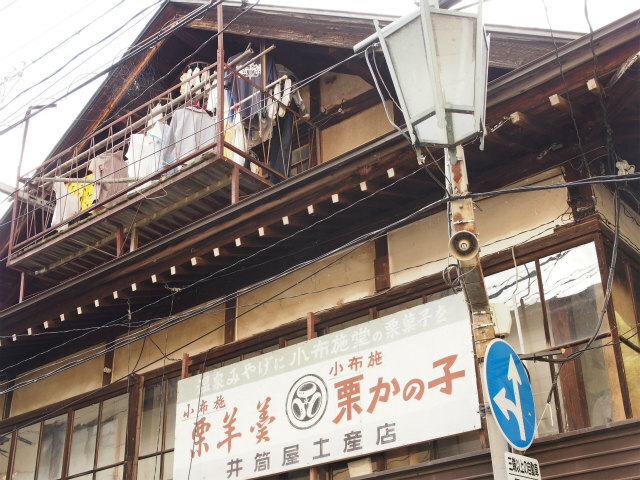 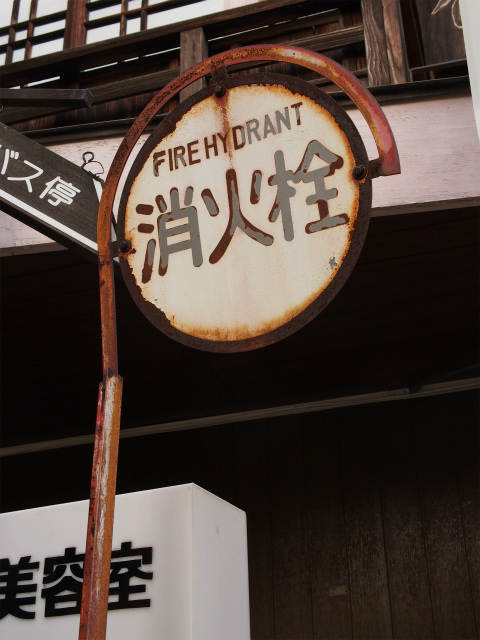 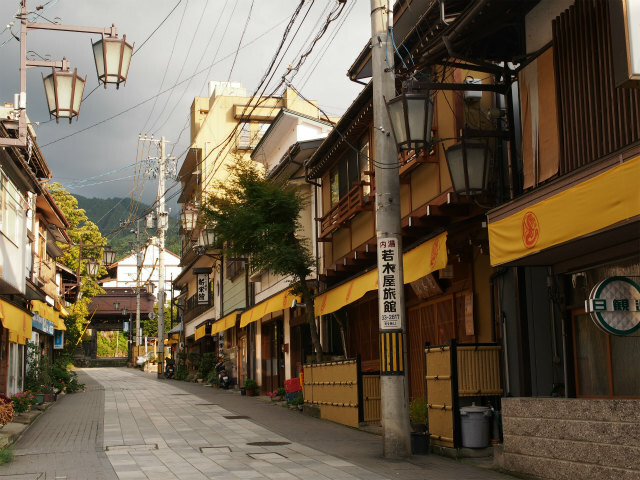 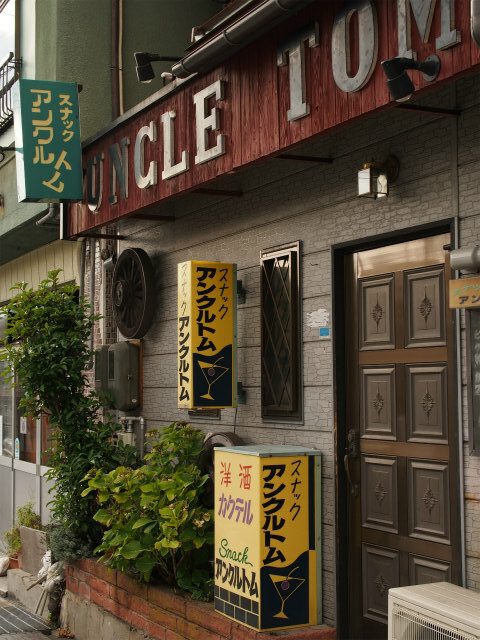 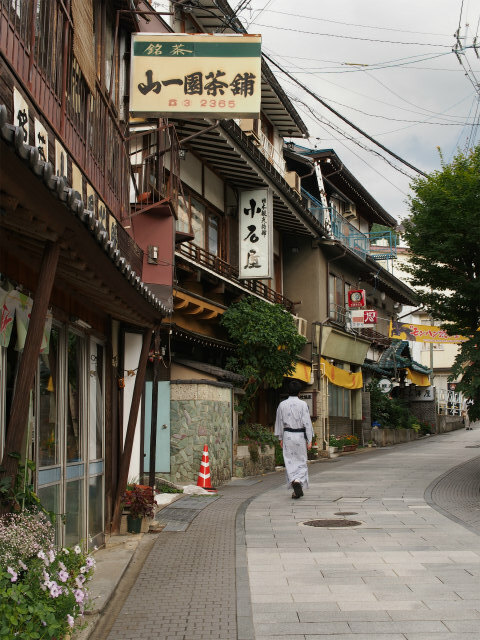 Shibu Onsen has nine public bath houses used by local people every day. 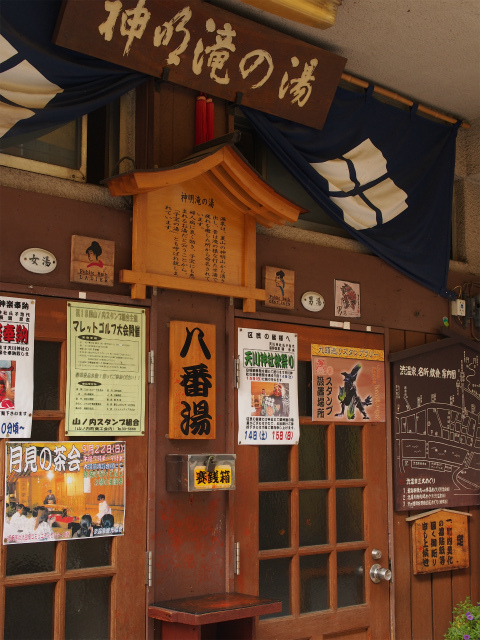 “Kyu-to meguri” (the tour of the nine bath houses for purification) is designed to provide the visitors in Shibu Onsen with the opportunity of enjoying the bounty of its hot springs. 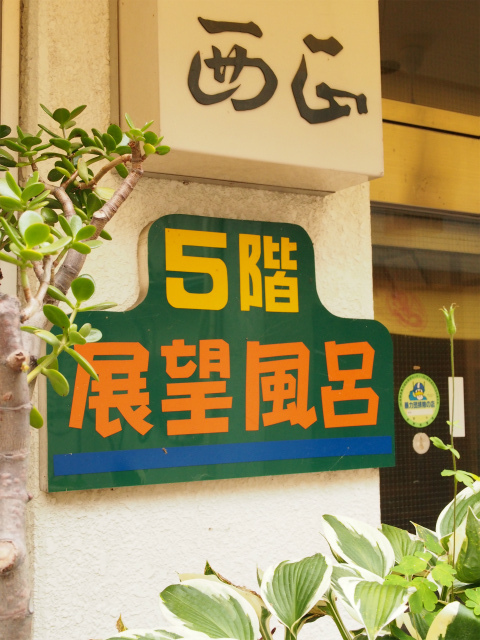 You can try these public baths, which have different sources and medical effects. 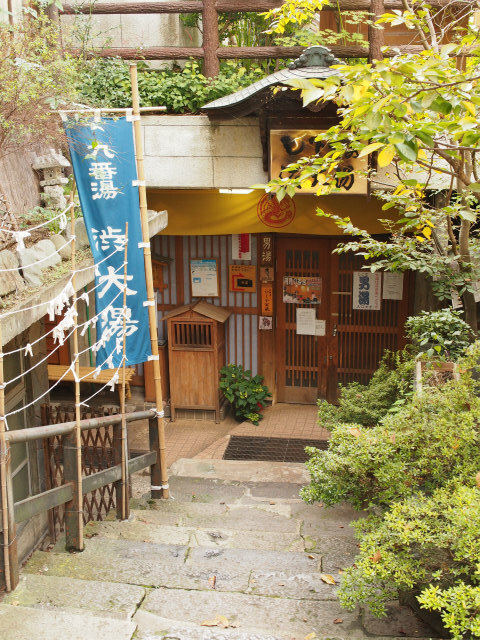 It is traditionally said that good fortune, such as protection from evil, safe delivery and a healthy baby as well as perpetual youth and longevity, comes to those who do the entire bath house tour by visiting all nine. 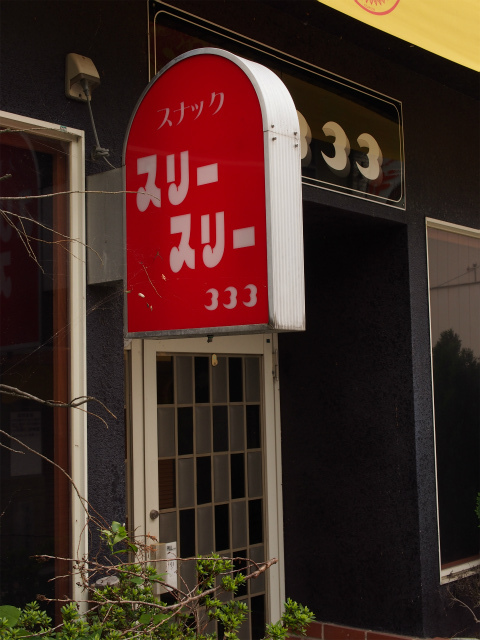 Footbaths are also recommended for those who do not have enough time for the tour. 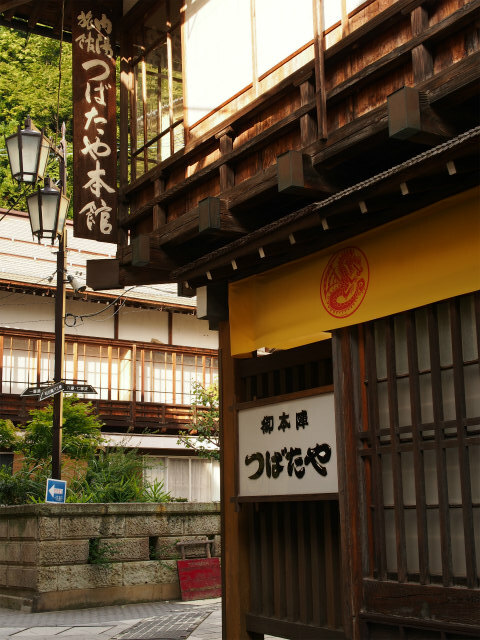 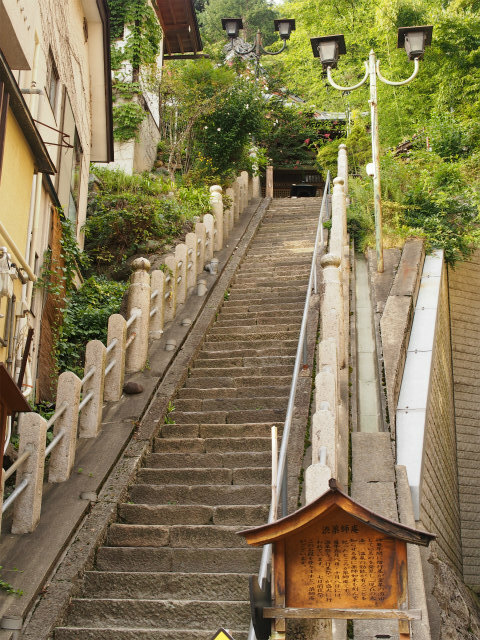 There are two footbaths in the town: Nofutomaru and Kyusoku-dokoro Shingen. 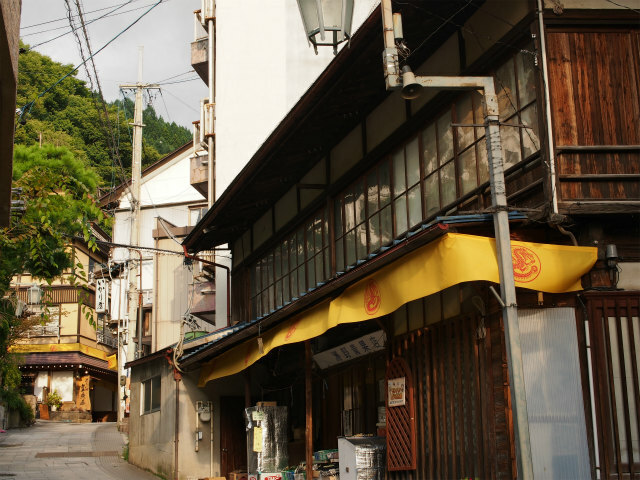 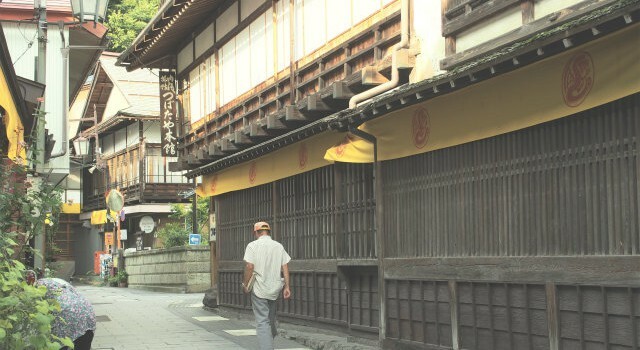 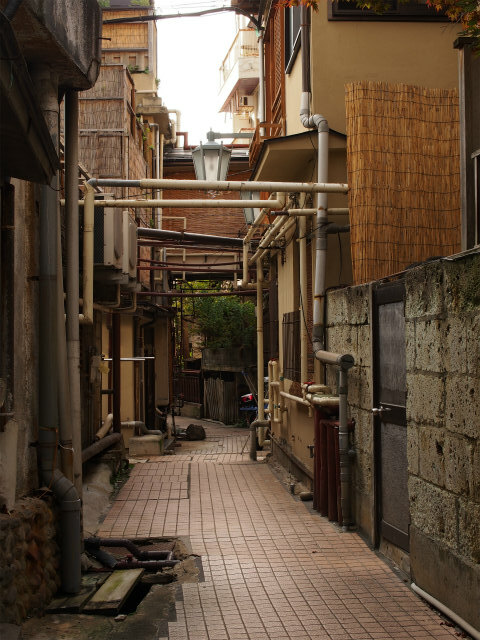 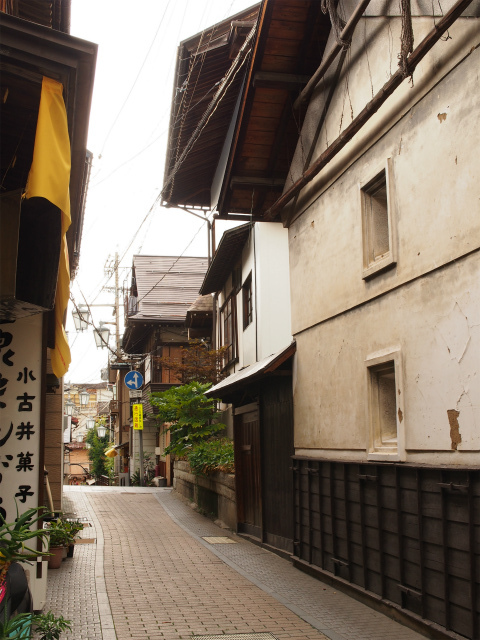 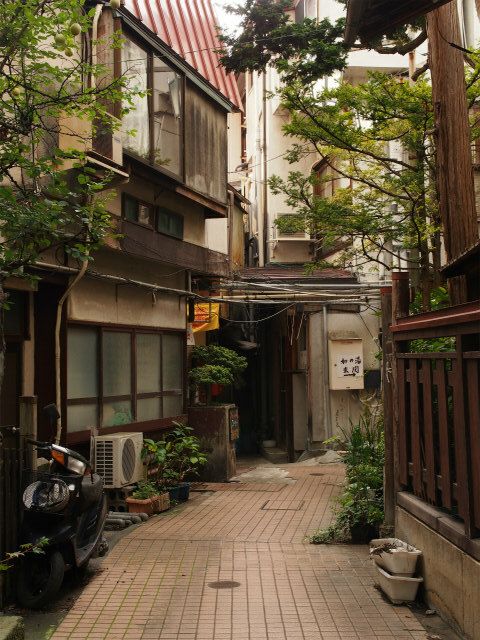 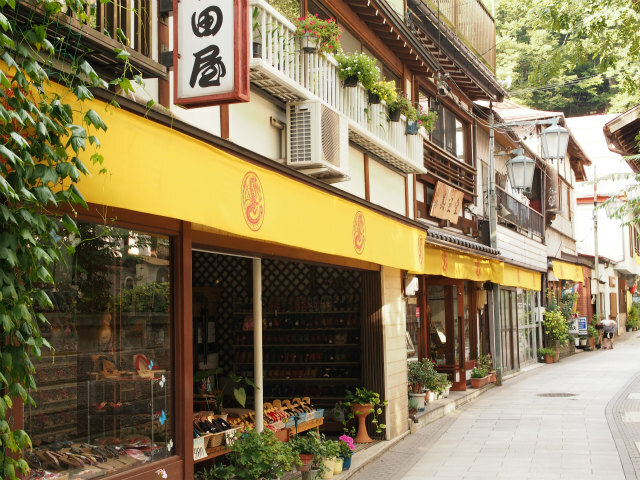 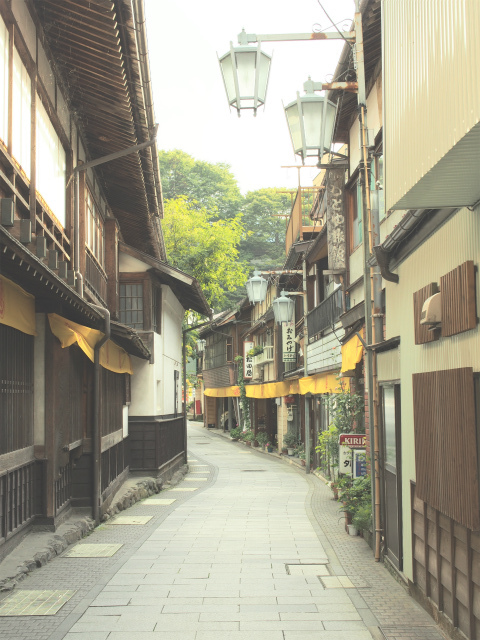 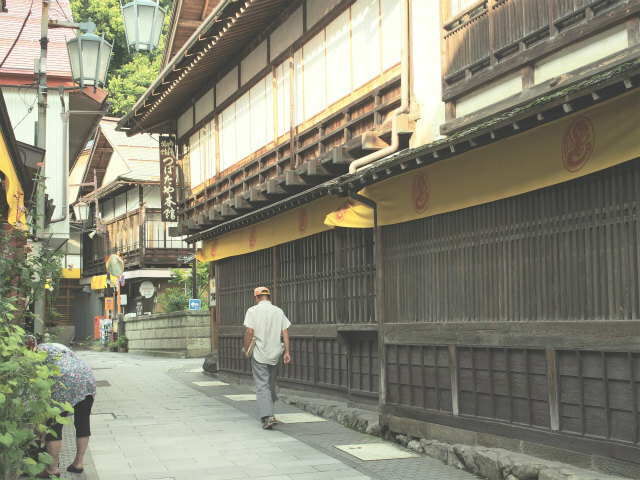 Since the origins of Shibu Onsen some 1,300 years ago, many wooden buildings have undergone repeated extensions and alterations, which has resulted in their complex structures. 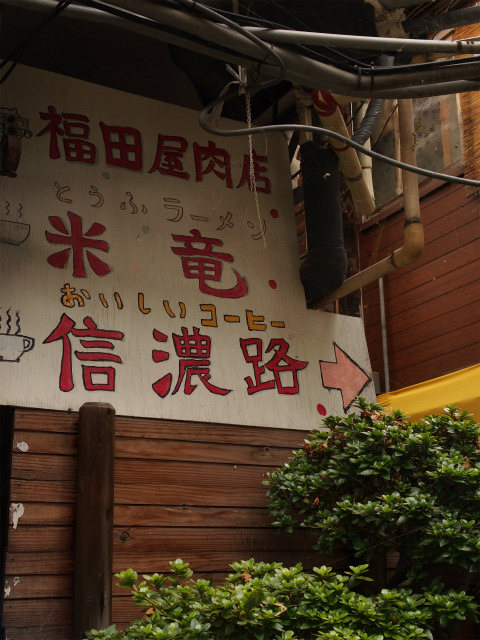 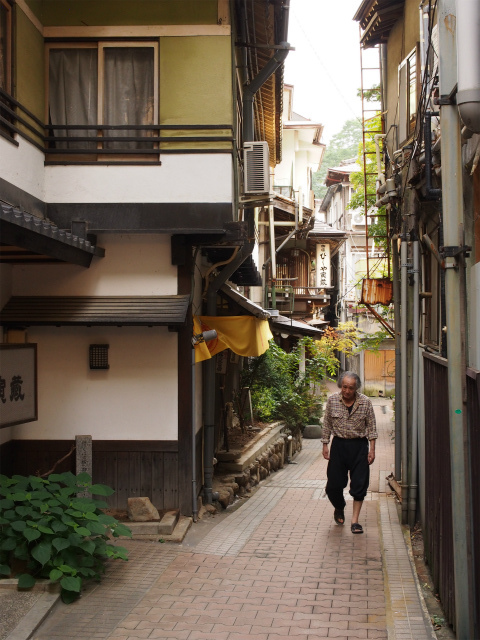 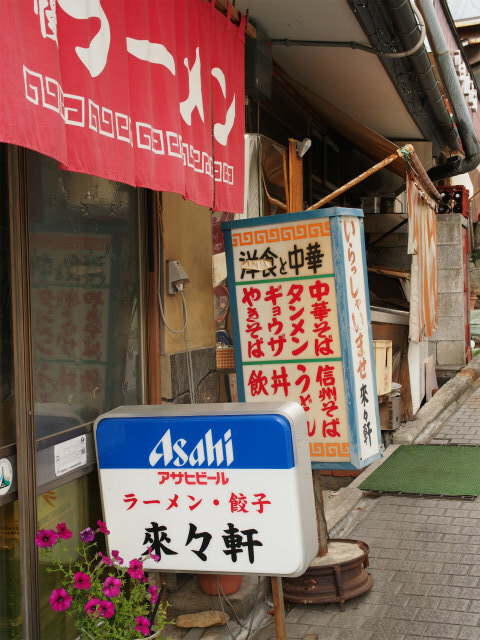 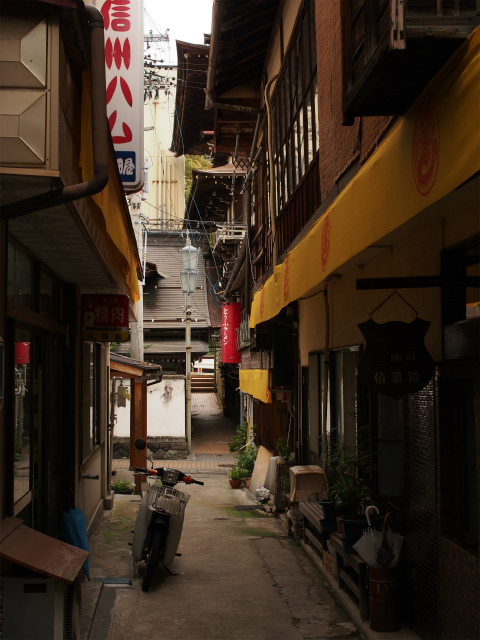 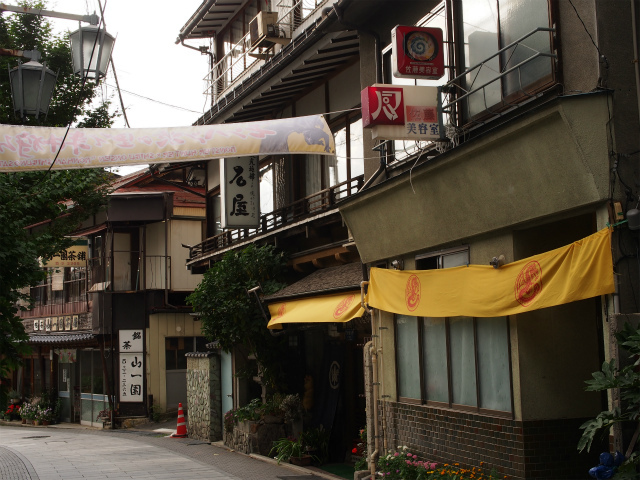 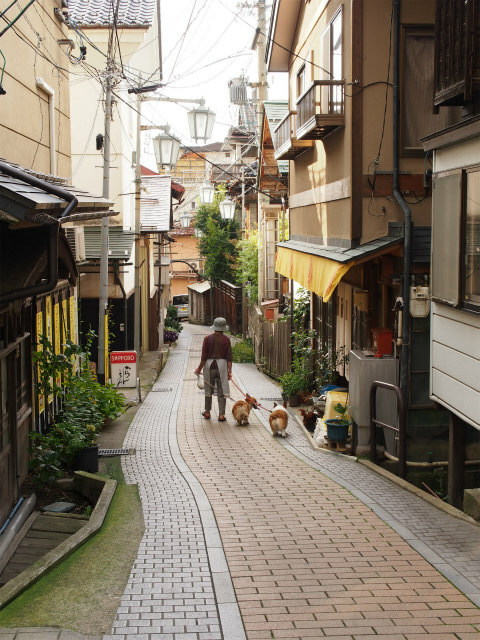 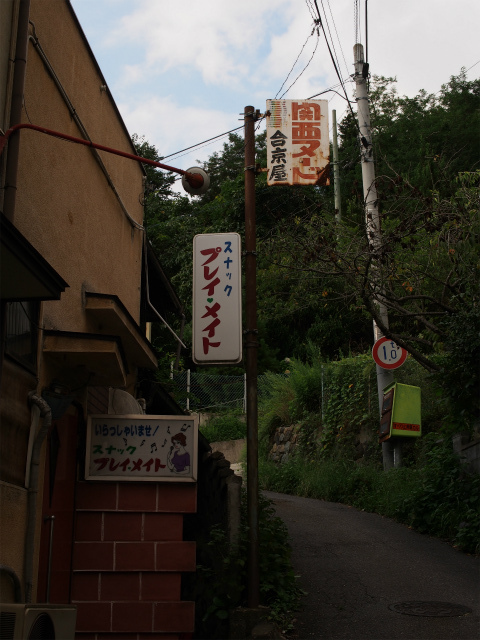 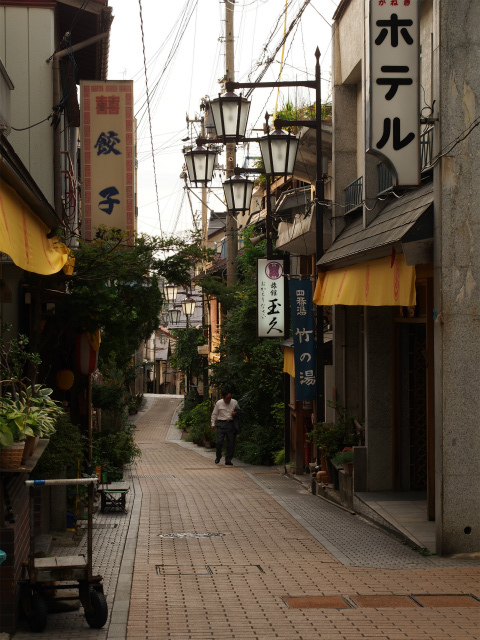 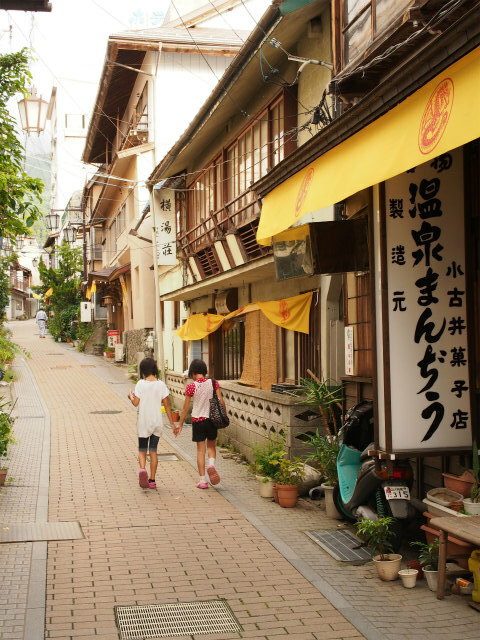 September 2013, Shibu Onsen, Yamanouchi-town, Nagano-prefecture, Japan.